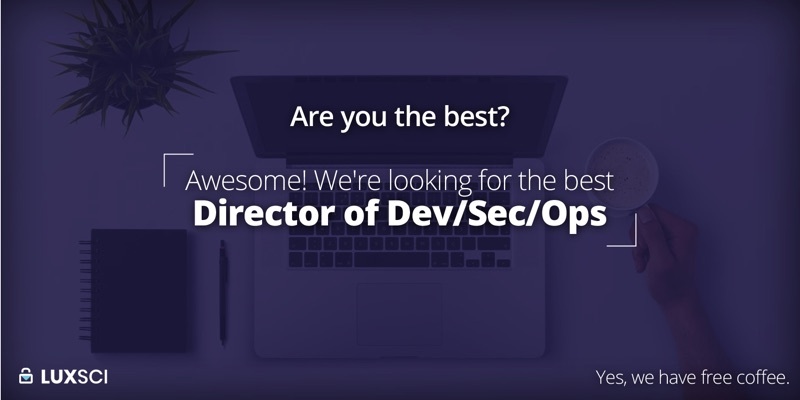 Are you looking for an amazing opportunity to play a pivotal role in the growth of a small company, to have the ear of the CEO, to massively expand your technological skill set, and to have the opportunity to lead a development, security, and operations team? LuxSci is looking for a super-smart self-starter with great skills and ideas to join its team and help support its continued growth. If selected, you would report directly to Erik Kangas, the LuxSci CEO and would be mentored by Erik on Dev/Sec/Ops as it applies to LuxSci and its industry. Initially, you would learn the ropes and the system and provide technical support to our customers. As your knowledge and skills permit, your position would evolve to include tier-3 operations and development work to support our servers, software, automation, etc. Ultimately, we are looking for someone with the potential and drive to develop into a director of the Dev/Sec/Ops division of LuxSci, and eventually become an executive member of our team. We are also looking for someone who lives and breathes technology, can teach him/herself anything, is extremely productive working independently or from home, and is not afraid to express opinions, ideas, and suggestions. The ideal candidate will also have great verbal and written communication skills. LuxSci's offices are in Medfield, MA. However, this job can be performed 100% remotely. This is a salaried full-time position; you will coordinate with your manager as to what specific hours you will be working (i.e., for direct customer support and to be an escalation resource for other customer support staff). This position includes benefits such as medical and dental insurance, personal time off days, 401k, disability insurance, etc. The exact nature of the benefits may depend on what state you live in. Only U.S. Citizens living in the U.S. are eligible for this position. The base compensation will depend on your experience level. To apply: Send your C.V. and cover letter to: jobs@luxsci.com or apply on Indeed. Assisting customers with technical tasks such as backups, restores, software installs, optimal server configurations, best practices, etc. You might not have all of these skills and experiences, but the more the better!